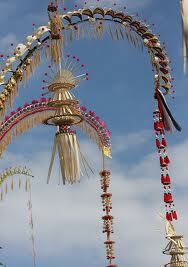 Bali Yatra will Celebrated of every Year in November.This Festival is Mostly Large Celebration in Orrisa. Bali Yatra is one such festival. The festival associated with the adventurous spirit of the Oriyas, bring back the picture of the brave merchants braving the seven seas to change the lives of their families and brethren. 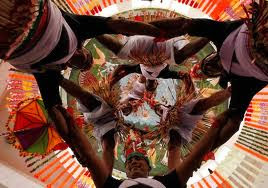 The festival of Bali yatra pays tribute to the indomitable spirit of the Oriya merchants and connects them to the Bali ( present day Indonesia) people in more ways than one. The business bond that grew in the yore still lives in both the lands. The name “Bali– Yatra” in fact is a pointer to the same. 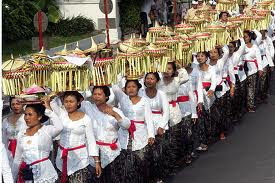 Bali yatra in itself refers to the “journey to Bali” – the favored destination of traders of the yesteryears. Bali, java, Sumatra , Ceylon might be dream destinations for Oriyas today but the historic Bali Jatra celebrates the journey that started and rolled on for years , binding both land and cultures in the process. The auspicious time has a scientific basis too – the wind were favourable during this time of the year. It pushed hard on sails (Ajhala) to bear ancient Indians across Ocean to Indonesia. The trading activities of ancient Kalinga was flourishing in S.E. Asia like Indonesia, Philippines, Malayasia and Srilanka, Siam (Thailand). Besides the traders also developed a brisk overseas trade with Rome and Greece. Others believe that Sri Chaitanya MahaPrabhu, the great Vaishnavite Saint, first landed in the soil of after crossing the sand-bed (Bali) of Mahanadi river on his way to Puri on this auspicious day. The date may have been the same but Kalinga’s Maritime tradition predates Chaitanya Dev’s journey by centuries. 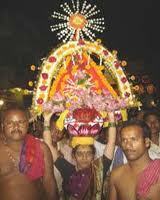 In Cuttack, Bali Jatra is celebrated as an open, fair near the Barabati Fort area. Children float toy boats made of colored paper, dried banana tree barks, and cork in the Mahanadi river, ponds, and water tanks, to commemorate the voyage of their ancestors to Indonesia. The toy boats with their small oil lamps light up the autumn evenings like a second diwali. 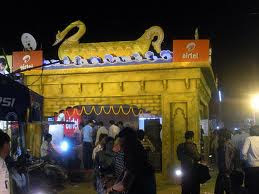 As images of Karthikeswar are immersed in Mahanadi River, to mark the end of the month of Karthik; the banks of the river in Cuttack come alive with twinkling lights and suddenly Bali Yatra takes a life of its own. 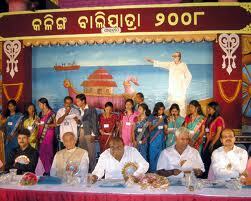 People sing “Aa ka ma bai, pan gua khai…” remembering the proud maritime history of Kalinga. 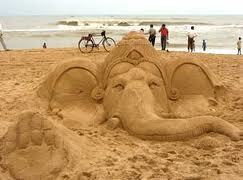 Beside Cuttack Bali Yatra is celebrated with great fanfare in Paradeep, Puri and Bhubaneswar. It is also known as Boita Bandana Utsab – the “festival of boats”. Baliyatra festival is also associated with legend ‘Taapoi’ and rituals like ‘Bhalukuni Osha’ and ‘Bada Osha’ and ‘Akasadipa’ festival which all indicates Orissa’s glorious maritime heritage. ‘Khudurukuni Osha’ is observed on each Sunday of Bhadra by un-married girls to worship Goddess Maa Mangala for the safe return journey of the family members from the voyage. ‘Bada Osha’ is linked with the boat making tradition of yore. Similarly, ‘Akasadipa’ festival is celebrated to remember the artificial light houses along the coast. The legend ‘Taapoi’ is deeply associated with Baliyatra festival which preserves memories of young maidens waiting for the return of their sailors. To revive and refresh the memories of Kalinga’s maritime glory, a boat expedition was organized on the Kartika Purnima of 1992. History was recreated when a seven member crew on board a 13 meter long yatch sailed for Bali from Paradeep port of Orissa retracing the ancient trade route. The yatch INS SAMUDRA covered a distance of 5810 nautical miles in just over 17 weeks. 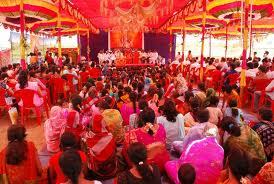 There are two stories relating to the celebration of Bali Yatra inCuttack. The first one rel;ates to the visit of Lord Chaitanya to Orissa some 500 years back who upon his visit to cuttack crossed the Mahanadi river and proceeded for a darshan of “Sakhigopal” at the Barabati Fort. He is then supposed to have taken a bath in theMahanadi on the full moon day of Kartika and then have rested on the sands at the river bed. Since sand is called “Bali” in the local language, the festival came to be called Bali Yatra in consonance with Sri Chaitanya’s historic visit and bath. 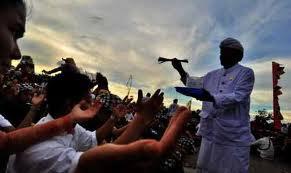 The other more popular and widespread belief is that of the commemoration of the trade relations between the merchants of Orissa and that of IndonesianislandofBali. The ships carrying merchandise from Orissa to the island country sailed out on the auspicious day of the kartik Purnima. Hence the day became synonymous with the festivities. Oriya merchants who went for trade overseas would return with riches and tales of adventure. their wives accompanied by their children and neighbors thronged the Gadgadia ghat to welcome their husbands on arrival. In those days women were not allowed to venture out. However on this day, they went out to see off their husbands and willingly bought out things of their choice. This was the reason why a fair was organized in front of the Barbati Fort for the ladies . 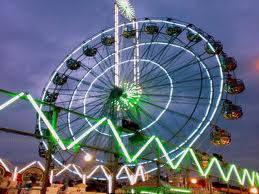 In the course of time the fair came to be known asBaliyatra. 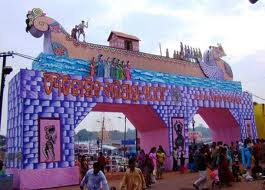 The Festival of Bali Yatra has gained immense importance recently as tourists from far and wide gather here during the festival to witness the culture of Orissa. The government of Orissa organizes numerous tours and packages during the festival for tourists to have a complete look and feel ofthe state culture and richness. 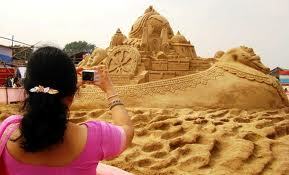 Orissa as a state id famous for its culture and vibrancy, which illuminates during this festival. On the Festival of Bali Yatra a grand fair is organized that displays a great variety of goods and accessories for buying and selling. Apart from the rituals and fair there are number of arrangements by the government like Boating for the visitors which has slowly emerged as a great temptation.